And made intercession for the transgressors.” (Isaiah 53: 1-12). The 17th century Jewish historian, Raphael Levi, admitted that long ago the rabbis used to read Isaiah 53 in synagogues, but after the chapter caused “arguments and great confusion” the rabbis decided that the simplest thing would be to just take that prophecy out of the Haftarah readings in synagogues. That’s why today when we read Isaiah 52, we stop in the middle of the chapter and the week after we jump straight to Isaiah 54. In the Bible, in the book of Isaiah, chapter 53 the prophet prophesies about the Messiah that he would be rejected by his people suffer and die in agony and that God would see his suffering and death as an atonement for the sins of humanity. Isaiah lived and prophesied about 700 BCE. According to his prophecy in chapter 53 the leaders of Israel would recognize they had made a mistake at the end of days when they rejected the Messiah, so Isaiah put the prophecy in past tense and because he saw himself as part of the people of Israel he used third person plural (we). This is to emphasize the eminence of the Messiah who would in fact rise from the dead, and ascend to the heavens and sit next to the Father. His actions would give him a higher status that every human king or ruler. Despite the horrific suffering the day would come when even kings would come to look to him with reverence. Isaiah calls the Messiah the “Arm of the Lord”. Earlier, in chapter 40 Isaiah declares that the “Arm of the Lord” would rule for him. In chapter 51 the gentiles put their hope in the “Arm of the Lord”, and the “Arm of the Lord” would redeem. In chapter 52 the “Arm of the Lord” brings salvation. Now, in 53, Isaiah reveals to us that the “Arm of the Lord” is in fact the Messiah. The Messiah is very much part of God himself. nor beauty that we should desire Him. “He had no beauty that we should desire Him”. We didn’t think he was the Messiah. We didn’t even register it could be him. The Hebrew says wounded, pierced. He died. Like someone who has fallen wounded, or someone perforated with bullets – not for any fault of his own, but it was our wrongdoing. He was crushed because of our inequities, our sins – the punishment and discipline we deserved went to him. The “stripes” are hard blows that leave marks, and by his scars we are healed. In exactly this way, hundreds of years later, the prophecy was fulfilled. Yeshua was went to the cross in order to take the death we deserved. We all like sheep have gone astray. So Adonai has laid on Him the iniquity of us all. The Hebrew talks of going astray like sheep wander off and get lost. We all, people of Israel, ignored him and went on our way, but despite this, God put all our sin and iniquity on him – on the Messiah. The Hebrew says he was exploited, abused… his dignity and right to a fair trial were taken from him. The Hebrew says he was afflicted – tortured – but he didn’t open his mouth. This shows that he did not resist his unjust sentence. He didn’t try to rebel or escape, and he didn’t take legal representation in spite of the fact he was facing a death sentence, but he was led like a sheep to the slaughter, or to be sheared without resisting the injustices being done to him. Because of oppression and judgment He was taken away. They arrested him and took his to trial. As a result of the trial he was “cut off from the land of the living”. A death sentence. Not for his own crimes, but those of his people. In the Scriptures, “My people” always means the people of Israel. The Messiah would die not for his own sin but for the sin of his people – the people who should be taking the punishment for their own sins – but the Messiah took it upon himself. He is the one who died. His generation wouldn’t care to bring him up in conversation, but would rather sweep his existence under the carpet. So for the last 2000 years, Yeshua the Messiah has been the best kept secret in Judaism, and this is precisely why he was labelled “Yeshu” in Judaism, which stands for “May his name and memory be blotted out”. Even though he was taken out to be executed like a criminal, even though he did nothing wrong, and never lied, in his death he was to be buried in the fancy tomb of a rich man. Yeshua really was killed on the cross and was buried in the grave of a rich man a member of the Sanhedrin, Joseph of Arimathea. It’s a clear symbol of the ironic situation in which the Messiah receives honor for the noblest deed of them all – taking the death sentence we deserve on himself. Yet it pleased Adonai to bruise Him. and the will of Adonai will succeed by His hand. So who is responsible for the death of the Messiah? “The Jews”? As so many Catholics have accused us of in the past? Maybe the Romans? They were the ones who actually crucified him? No. “God was pleased to bruise him”. God is the only one able to forgive and bring salvation to the world and he turned himself into a sacrifice. What kind of sacrifice? A guilt offering. The death of the Messiah was no accident – God used his own stiff-necked people as priests in order to bring about the forgiveness of sins not only for his people Israel, but for the whole of humanity. In contrast to the Yom Kippur sacrifice which was only valid until the following year and just ‘covered over’ sin, the atonement of the Messiah took away our sin once and for all! None of us as human beings are perfect – we are not able to be that perfect sacrifice. Only God himself could do that. In spite of the fact he would be killed, he would also prolong his days. 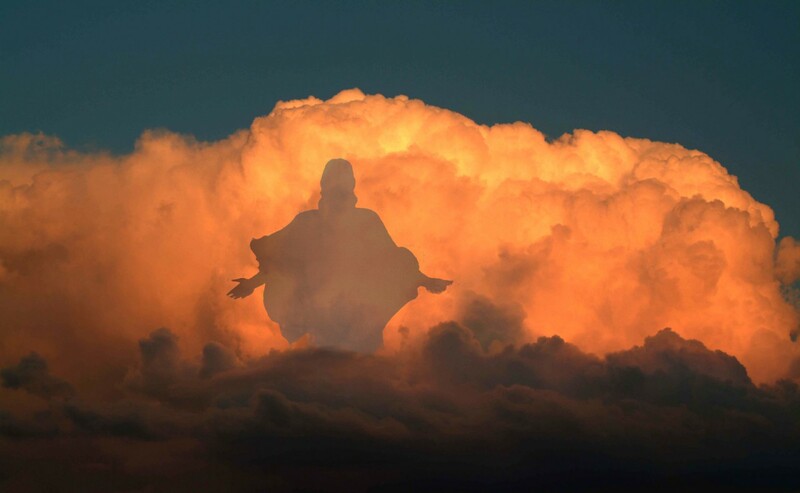 He would rise again from the dead and would see the “fruit of his seed”, planted in his resurrection. By the way, we also have a video on the resurrection of Yeshua. The Messiah would see and be satisfied by his labor, because many would be made righteous by the suffering he endured, as a righteous man when he took on himself the sins and iniquities of many. All who recognize him as the Messiah will be his “seed” in a spiritual sense. The Messiah was the one interceding for us an advocate for us as sinners before a holy God. The Messiah took on his shoulders the sin of all who believe in him. It’s an encouraging prophecy of hope and a future. God is not just interested in forgiveness expressed in words but also demonstrated in actions. That’s why he took on the appearance of a servant and took the punishment that we deserve on himself. Isaiah 53 may be the most compelling and powerful source from the Word of God to the unbelieving Jew. No wonder I never heard this chapter of Isaiah in my synagogue! Our rabbi did not stress reading the Tanakh (the Old Testament.) The leaders in the synagogue would show us the most important passages to read (according to them). This reminds me of the Catholic Church! I believe that a Jew who was truly searching for Truth about the Messiah, quickly realized that a chapter of Isaiah was missing. This would only encourage the inquisitive Jew to search out Isaiah 53! I am certain that a serious student of the Tanakh would have been shocked and most likely caused them to further search the Scriptures, and perhaps even read the New Testament out of curiousity! God makes no mistakes. Isaiah 53 is part of the Old Testament – just as our Lord ordained it to be. This passage of Scripture is like a diamond sitting in plain site, but overlooked by most of the Jewish people for centuries. As we read this chapter of Romans, it is clear that the partial hardening of the Jewish people towards Yeshua, was instrumental in opening up heaven to believing Gentiles. It also says that my people will become jealous of the Gentiles and their relationship with God. I believe that we are seeing this clearly today. ISRAEL: A man is coming who will deceive you. You will think that he is the long awaited Messiah, but he will be indwelled by Satan. You will sign an enforcement of a seven year treaty with this devil. I pray that you will never forget these words. NEVER.